The field of pharmacy school is always changing—and pharmacists are required to be continuously learning and to track industry trends. 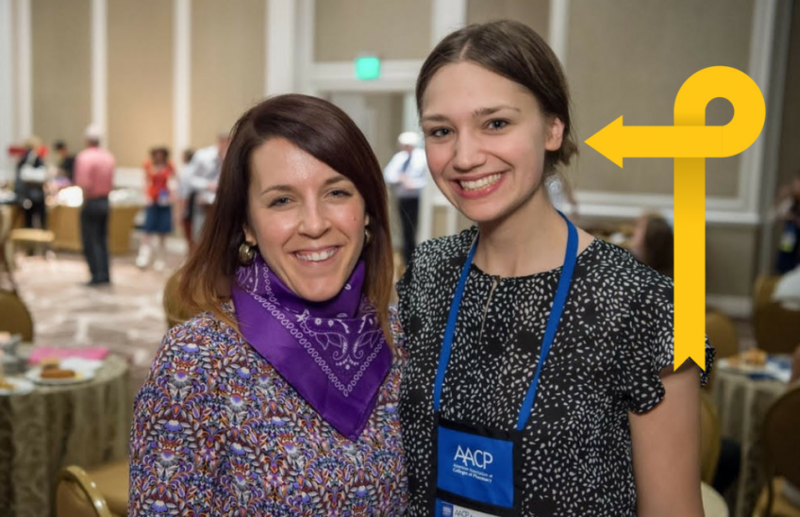 For pharmacy student Jennifer Toth, the opportunity to contribute to the pool of knowledge through research, which is essential in improving patient care, was very exciting. Read our full interview with Jennifer to learn why she pursued pharmacy over other health professions! What really drew me to pharmacy was how it is a healthcare field that involves chemistry and math. Drug metabolism, compounding, and research require a basic understanding of math and statistics. Knowing the physical properties of drugs helps you understand their distribution in the body. I did not really consider other healthcare professions as an option, mostly because I do not like the sight of blood! I knew at the end of my junior year of college after I went to an open house at my current pharmacy school. I applied to one pharmacy school through the early decision option. I wanted to go to a school that was close to my home and did not have an impossible amount of pre-requisites to meet (because I decided so late in my college career to go to pharmacy school). If I had to do it again, I would also look for schools that offered a health outcomes track. If you are interested in pursuing dual degrees, there are some schools that have lots of options, so do your research. I love that there are many networking opportunities and many mentors and professors available to help you decide on a career path. There are many people who want to help you figure out what is right for you, so be sure to take advantage of networking opportunities. I collaborate with my pharmacy peers at school through working on group projects and in student organizations. Outside of my school, I meet others at my rotation sites and at conferences. I would like to be an educator and researcher, as well as a clinician part-time. As you will quickly learn in pharmacy school, the field is always changing, and pharmacists are required to constantly be learning and tracking health care trends. Pharmacists have the opportunity to contribute to the pool of knowledge through research, which is essential in improving patient care. Did any family members play a role in your education? My dad encouraged me to go to that open house at the pharmacy school. Once I decided to go to pharmacy school, he also helped me figure out which classes I needed to take and when to meet the prerequisites. You don’t need to have it all figured out now. What advice would you give a high school student who is interested in pharmacy? Keep an open mind. Pharmacy seems like a limited career to an outsider, but there are so many specialties and opportunities available for pharmacists including working at pharmaceutical companies and at the FDA. We hold a skillset that is valuable and that no one else possesses as well as us!